Poivre lies just short of 300km south of Mahé on the Eastern edge of the Amirantes Bank and is made up of two smaller islands, Poivre and Île du Sud. 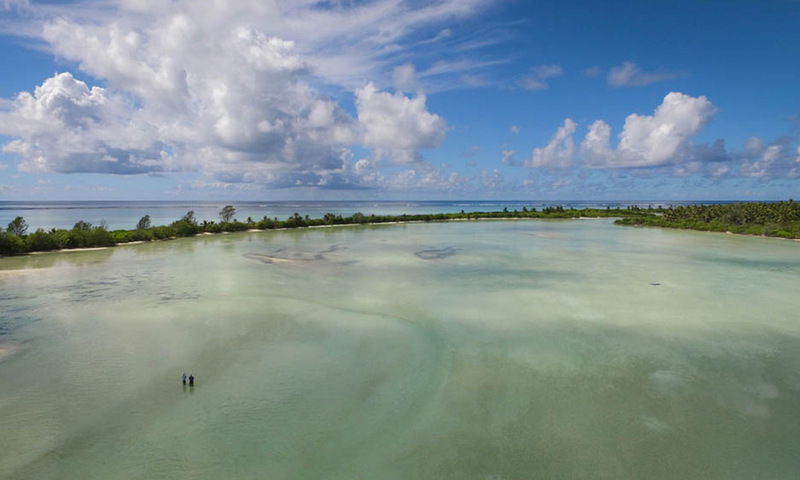 Separated by a shallow lagoon that extends all the way back to Ile du Sud during high tide, this Atoll offers both stunning flats as well as one of the best game fishing areas around. Another unique attribute of the Poivre Atoll, besides its geographical isolation and incredible access, is the area known as the Amirantes Trench. The sheer drop-off, which steps from 60 to 12000 meters in a matter of kilometres, lends itself to rich currents and an abundance of various fish species. 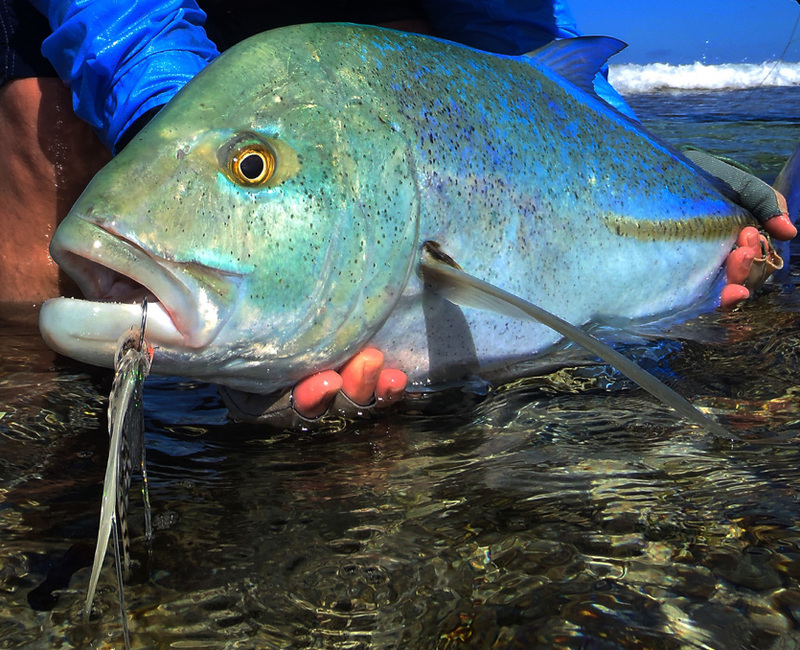 GT (Giant Trevally), Giant Trevally has also been referred to as being the gangsters of the flats, they have a reputation for being thugs, bullish and unforgiving. They prey on almost anything that moves. From crabs, lobsters, squid, and eels to Mantis Shrimps. 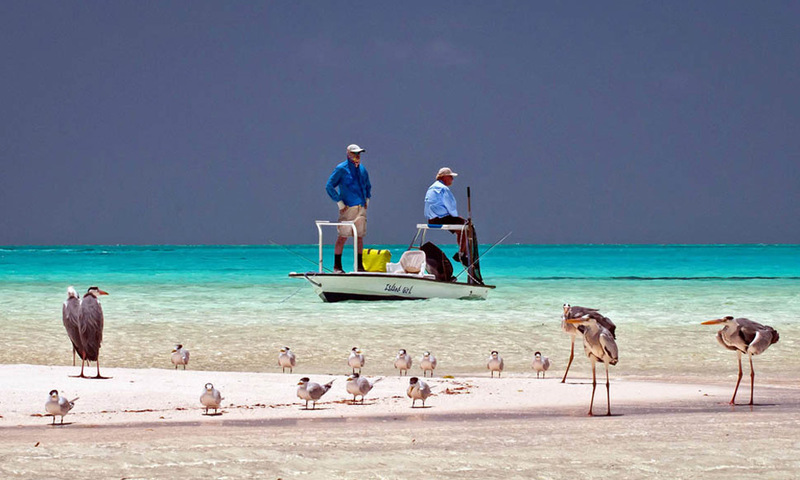 However, their favourite prey will be the wide variety of smaller fish that populate the shallow flats. 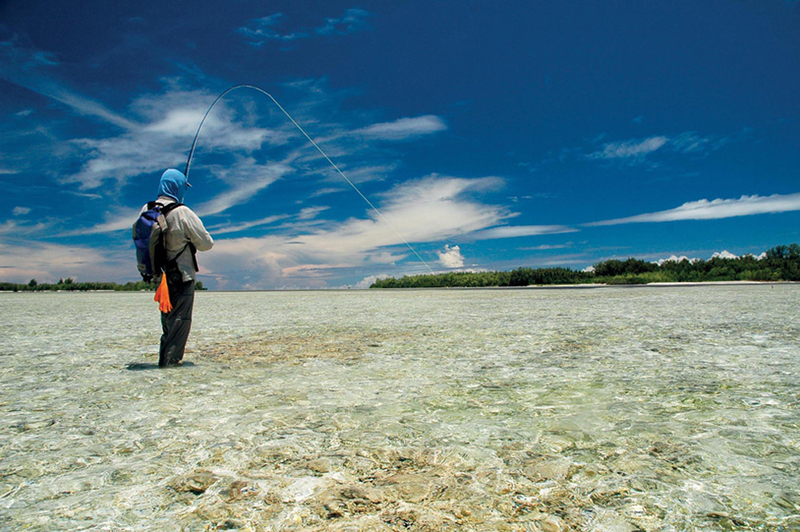 Bonefish, The reason why Bonefish are so commonly targeted in the world of fly fishing is that they are almost always in the mood to feed and ready to take a fly. 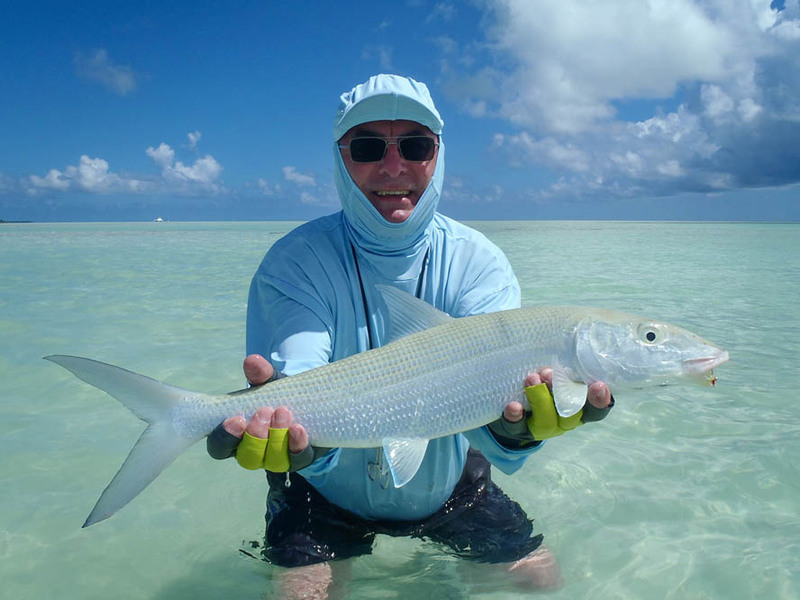 If you present the fly well enough, the chances of a Bonefish eating it are good; however, knowing what stage of the tidal cycle you are on when you are targeting Bones will help to determine where you would fish for them. Permit, Golden-yellow fins with big, black eyes are the most striking features of an Indo-Pacific Permit. Apart from that, they are well camouflaged on the backdrop of white sand, turtle grass or coral flats. Their body is a silver, almost mirror-like colour that reflects their habitat, making them nearly invisible to the untrained eye. 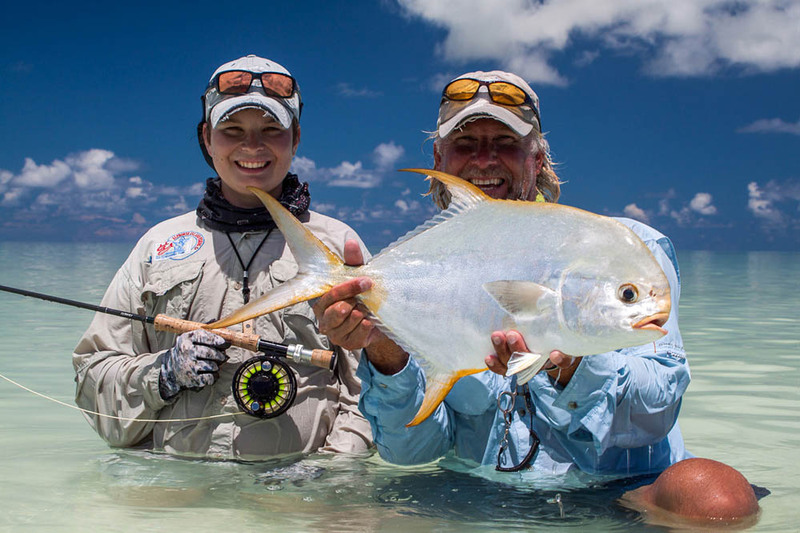 Trigger Fish, The Vincent van Gogh of saltwater fly sports fishing (many look as though an artist has painted them). These are a beautiful looking fish that make you earn your reward. Fast powerful and dirty fighters. Barracuda, We love fly fishing for Barracuda because you need more than the best barracuda flies, rods, and tackle – you need your wits about you! Milkfish, Milkfish are usually relatively easy to spot. When fishing on the flats in knee to waist-deep water, they can usually be found in small pods cruising over algae patches. Here they can be found with their tails protruding out of the water as they feed on the bottom. 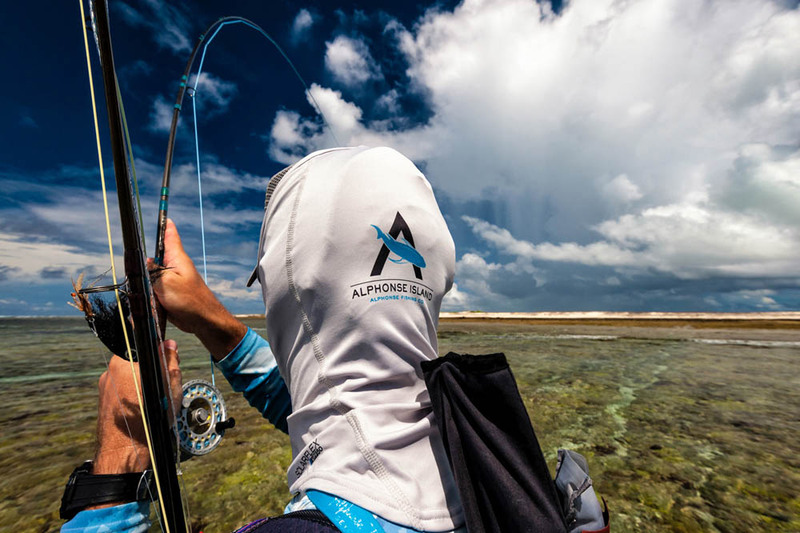 Wahoo, Any fish that travels as part of a Wolf Pack is going to be fun on fly… The wahoo’s speed is incredible – they get up to 76 km/h Wahoo fishing is an incredible experience! 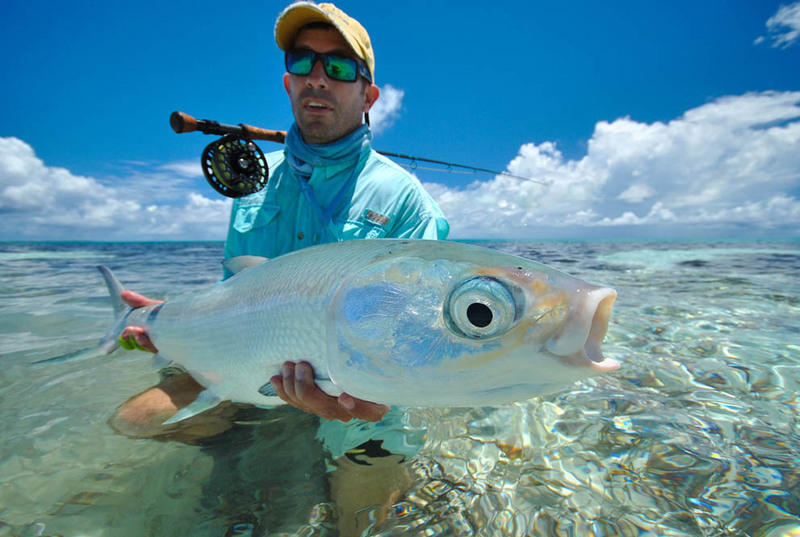 Snapper, These fish may not be as famous as many other Indian Ocean sports fishing superstars but once you hook one you will be hooked yourself. Hard and strong! Dogtooth Tuna, For those of you that have never seen 400 yards of backing strip off your fly line in 30 seconds, this is the fish for you! Indo-Pacific Sailfish, You tease the fish in and make a cast… the Sailfish takes your fly and then two seconds later it jumps 100m to your right… DAMMM you think I missed it! But then your guide reminds you of the sound of your line screaming off your reel. 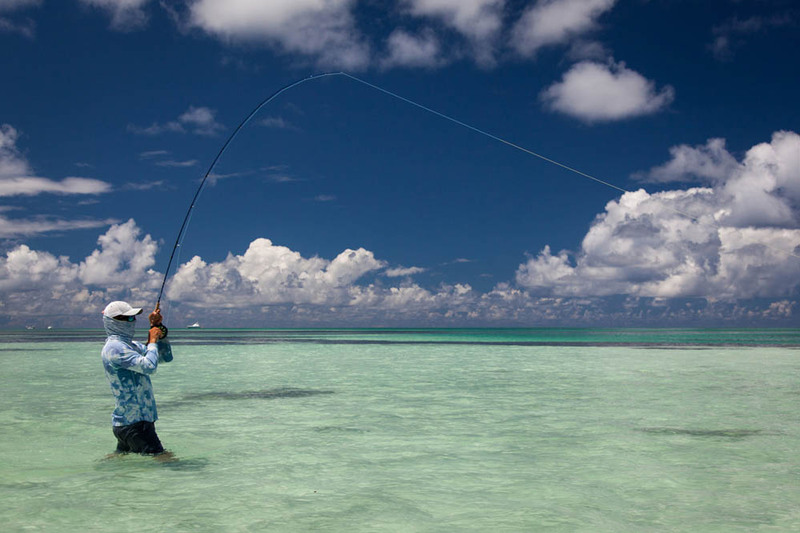 Poivre Atoll offers the best of both worlds with mind-blowing flats that will make any fly fishing enthusiast’s toes curl, right alongside thrilling Bluewater fishing targeting species like Sailfish, Wahoo, Yellowfin Tuna and more. 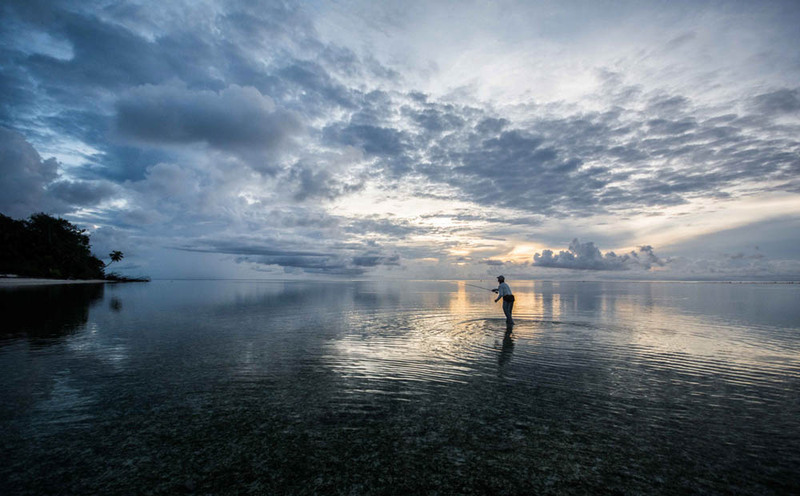 It is particularly well-known for its world-class species like bonefish, Indo-Pacific permit as well as the occasional giant trevally on the flats. 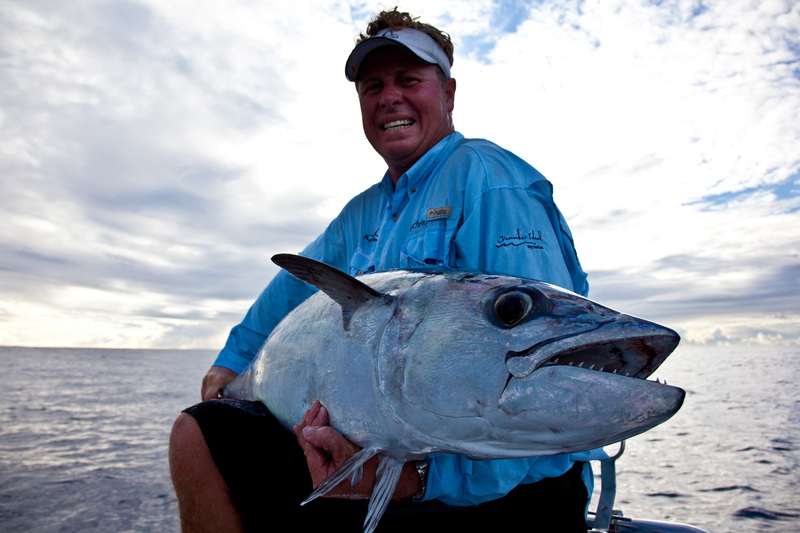 One of the most famous parts of Poivre is an area called “The Kennels”, so called for the record-breaking sized Dogtooth Tuna one can target here, with the current record fish caught standing at 75 kgs. 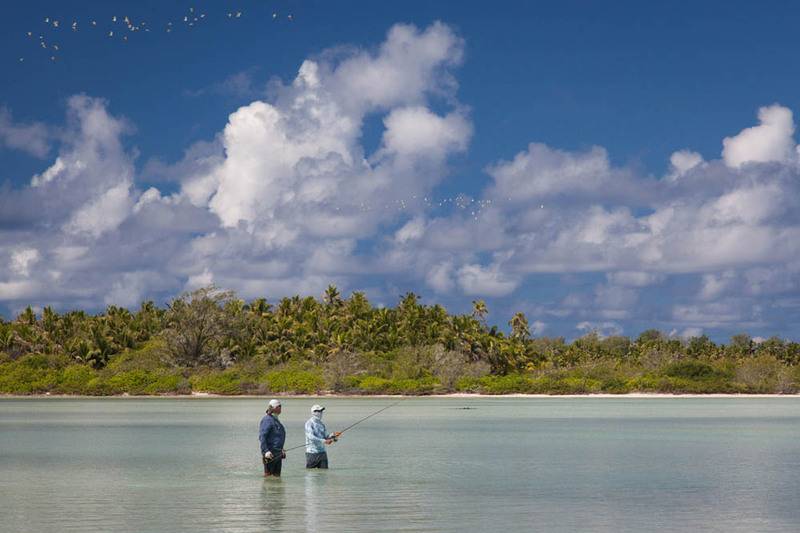 For the fly fisherman, this Atoll also offers incredible opportunities for targeting species like Bonefish, Indo-Pacific Permit and Giant Trevally on the flats. A’mani is a newly refitted 54ft motor catamaran that caters to affordable combination fishing trips for small groups. She is stable, spacious and more importantly has a two-meter draft that allows her to anchor in calm lea waters. A’mani offers two guest cabins with both double and single beds in them, two cabins with double beds and two bunk beds in the passage between cabins. There are two communal shower and toilets as well as an additional on-deck shower. All cabins and indoor areas are fully air-conditioned, allowing guests a chance to relax after a long day’s fishing. The season at Astove are split with a break over the festive season. The first part of the season traditionally runs from early November until late December and the second part of the runs from late February to late April. A. Astove and Cosmoledo has tackle for sale on location. There will be fly lines, flies, and various other items on sale should you run out. Any other tackle that is needed can be ordered and delivered to the location. 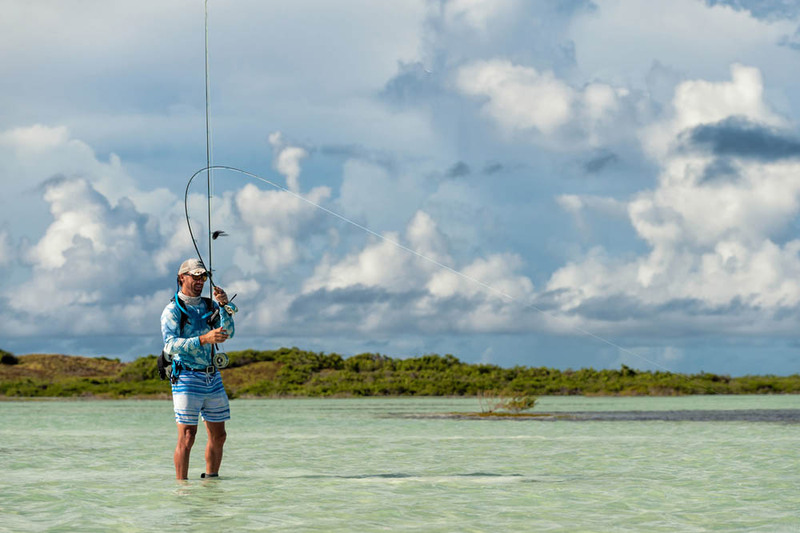 Each of our destinations offers a 9, 10 and 12 weight rod and reel service if you do not have your own gear or indeed you need to keep your weight down (luggage). Q. Talking about weight restrictions what restrictions are there for luggage on internal flights? A. Check-in luggage is strictly limited to 15 kg or 33 pounds per person, and 5 kg or 11 pounds carry-on luggage. Please adhere to the specified limits. It is not possible to load extra luggage beyond your limit. You can express courier gear that will be waiting for you for your arrival at your final fishing destination. Your equipment will then be express couriered back once you depart. This is an additional expense to yourself. A. Can you imagine having the option at casting to a 50lb GT in knee deep water? 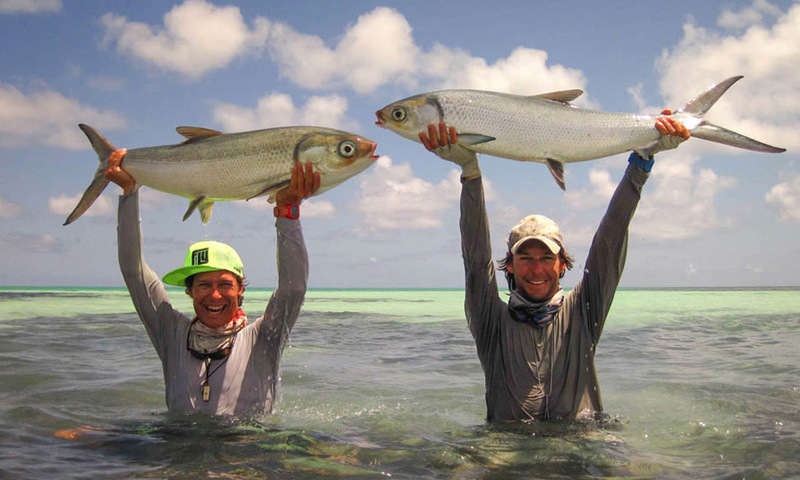 Just after you have recovered from the thrill of releasing that monster GT 30lb plus Milkfish move in… That is what the area is famous for. A. The Seychelles is typically hot and somewhat humid with the midday temperature hovering at 35°C. Evenings are also invariably warm with the exception of the first and last few weeks of the season, when there may be a strong, cooling breeze. A. At the end of each day, you will cherish your hot shower and look forward to some pre-dinner nibbles. Followed by a delicious main meal accompanied by some nice cool drinks. All this while discussing with your guide as to a new game plan when that 70lb plus GT gives you another chance. What else would you want to do? A. Although not ridiculously hot 35°C is going to knock you around if you don’t keep your fluids up (water not beer). At least during the day and then at night, a cold beer or two is certainly on the cards. This is not the location to 1st pick up a fly rod! By that I mean a decent cast is going to get you exponentially more fish than a terrible never done this before cast. In saying that if your budget allows then this could probably be the best place in the world to learn.